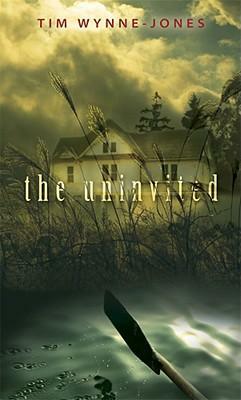 Who IS the uninvited? This twisty page-turner from a master of suspense plumbs the unsettling goings-on at a picture-perfect woodland cottage. Mimi Shapiro had a disturbing freshman year at NYU, thanks to a foolish affair with a professor who still haunts her caller ID. So when her artist father, Marc, offers the use of his remote Canadian cottage, she’s glad to hop in her Mini Cooper and drive up north. The house is fairy-tale quaint, and the key is hidden right where her dad said it would be, so she’s shocked to fi nd someone already living there — Jay, a young musician, who is equally startled to meet Mimi and immediately accuses her of leaving strange and threatening tokens inside: a dead bird, a snakeskin, a cricket sound track embedded in his latest composition. But Mimi has just arrived, so who is responsible? And more alarmingly, what does the intruder want? Part gripping thriller, part family drama, this fast-paced novel plays out in alternating viewpoints, in a pastoral setting that is evocative and eerie — a mysterious character in its own right. Tim Wynne-Jones is an award-winning writer of numerous YA novels. He lives in Ontario. Wynne-Jones has consistently raised the bar for literary thrillers…showcased his talents for suspenseful plotting, nuanced characterization, atmospheric sense of place, and humanistic themes, but The Uninvited may be the best one yet.